My favorites - Elephants, YES, I confess, they are my favorite animals! They have been a passion of mine for quite some time now. The cat kingdom and dolphins run a close second. Of the three different elephant species existing today, most of my own personal experience is with African elephants, although my heart beats faster after spotting any species. I have sat watching them, in close proximity for hour after hour, day after day, endlessly fascinated by the intricate details of their life. To me, it’s all about the appreciation of nature, humans, and the animal kingdom living together in peace and harmony!! "Elephant Destiny--Biography of an endangered species in Africa" by Martin Meredith is one of the best books I have read about elephants and their place in history. It is a must-read for any elephant lover or someone who would like to understand how and when it all happened that these magnificent creatures became hunted and used for war and ivory. I mentioned earlier that there are three remaining elephant species on this planet: the African elephant (Loxodonta), the Asian cousin (Elephas), and the so-called 'forest elephant', which is now mainly confined to the rainforests of western and central Africa. There are very interesting differences between the African elephant and the Asian elephant, besides the obvious ear size. 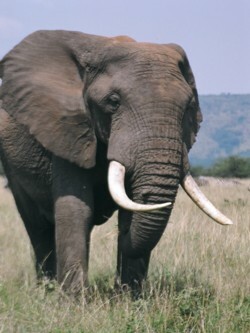 The African elephant is generally heavier and taller. They can weigh up to six tons (13,000 pound) and reach eleven feet or so at the shoulder. The African elephant’s back is concave or saddle-shaped, whereas the Asian’s is convex or straight. The African has immense triangular ears that extend beyond the neck; the ears of the Asian are comparatively small. The African has a flat forehead, and carries its head high; the Asian has a twin-domed forehead, and carries its head low. Repeated skin folds or 'rings' mark the African trunk and at its tip are two finger-like projections; the Asian’s trunk is smoother and ends in only one 'finger'. African elephants of both sexes usually carry tusks; with Asian elephants, tusks are confined mostly to males. It is the most interesting and fascinating thing to watch a herd of elephants interact and go about their daily activities and to realize, that many behaviors are so closely related to the human world. Specifically if it comes to the topic of children, teenagers, dynamics between adults, affections for one another and having fun! 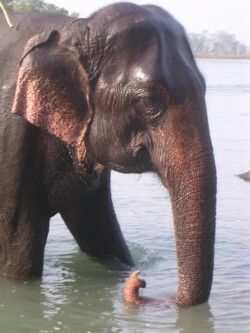 In 2007 Caitlin O’Connell published a book, "The Elephant’s Secret Sense", about her research on the way elephants communicate. Come to find out, not only are they able to produce very high and low frequency sounds, that we humans can’t hear, they are also able to communicate seismically through their feet! Incredible! The best story that gives an idea about the distance these animals can communicate happened in Zimbabwe. 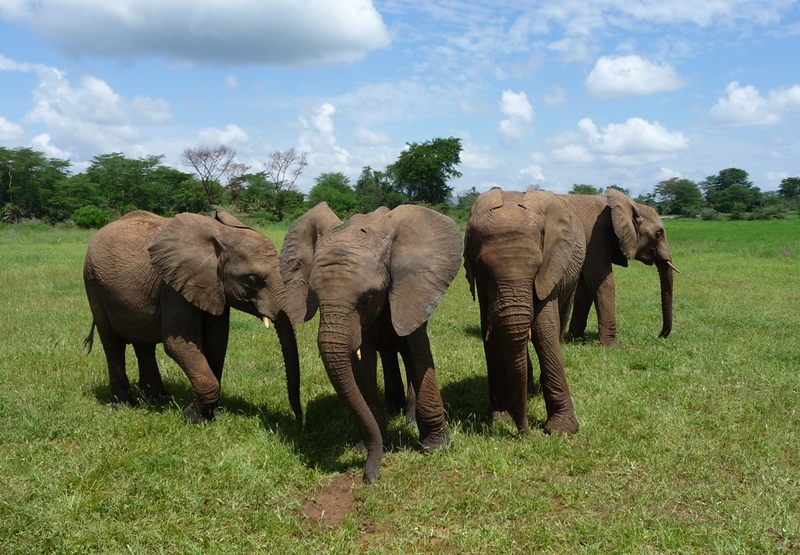 At a private wildlife sanctuary adjacent to the Hwange National Park a group of about 80 elephants, a familiar sight to tourist at the lodge, disappeared one day. That same day a culling operation (controlled killings of whole elephant families/groups) had started in the National Park 90 miles away! Several days later the missing elephants were found at the opposite corner of the sanctuary as far away from the park boundary and the culling process as they could be.